5 Tips for Turning Safely in a Semi - Triangle-J, Inc.
Driving a semi tractor-trailer is no easy feat. While driving in a straight line with such a large vehicle is difficult enough in and of itself, it is the turning that is the true problem. 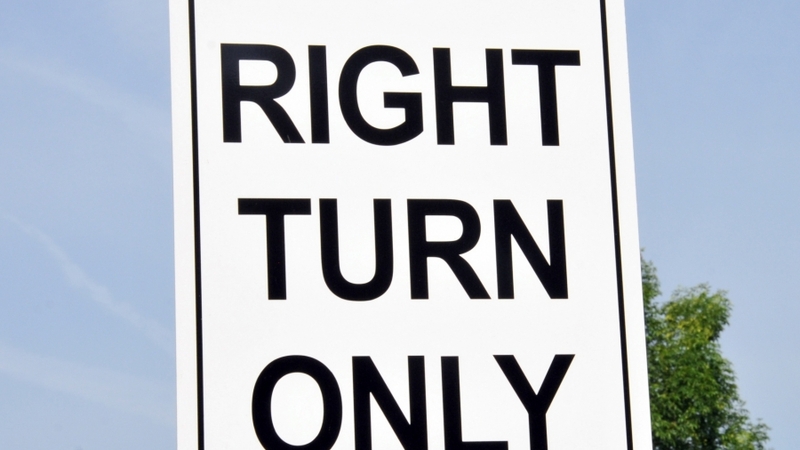 The most common type of semi accident comes from right turns. Wide right-hand turn tractor-trailer accidents take place for two reasons: the truck driver didn’t swing out far enough or the truck driver swung too far out. In order to drive safely, you need to get it exactly right! Be patient. You may not be able to make the turn right away. This is because you’ll almost always need to go into another lane. Look at the curve and try figure out if you’ll have the room you’ll need to swing out and make the turn. If there’s traffic sitting at the intersection on your right, then wait for an opportunity to swing into the left-hand lane. If you can’t go to your left, then wait for traffic sitting in the oncoming lane of the cross-road to move. A few extra minutes is worth it to avoid a potentially serious accident. Put on your turn signal and check your mirrors. Be sure to put on your turn signal at least 200 feet before making the turn, and check traffic at the intersection and in your mirrors. Check traffic coming up on your left behind you, and bear to the left side of your lane. Downshift to the appropriate gear. This step is no different than if you were driving a car. Make a safe, solid turn. Check your right-hand mirror one last time to make sure that no one has entered your blind spot. Begin the turn, aiming the front of your truck for the oncoming lane if it’s a two-lane road or the middle lane if it’s a three-lane. You already know that you have room for the tractor, so your primary duty at this point is to direct the trailer tires so that they don’t hop the curb. Keep looking at traffic. Look up and forward every three seconds to make sure that the traffic is where you left it, and to re-check your tractor clearance. Go back to watching the trailer wheels, and steer the tractor in or out to get them as close to the apex of the curve as you can without hopping it. Straighten the truck out. Turn the truck sharply to the right after your rear wheels have passed the apex of the curve. Nothing you do past this point will steer your trailer tires over the curb, so now your priority shifts to getting the truck completely into your lane and straightening it out. That’s it- your semi has now turned! Does that seem like a lot, just for one turn? Many people agree; that is why they don’t even try to do it on their own. If you would rather a professional truck driver who has been to CDL school handle it, contact Triangle J Trucking. We offer refrigerated truck driving services, flatbed services, and more.